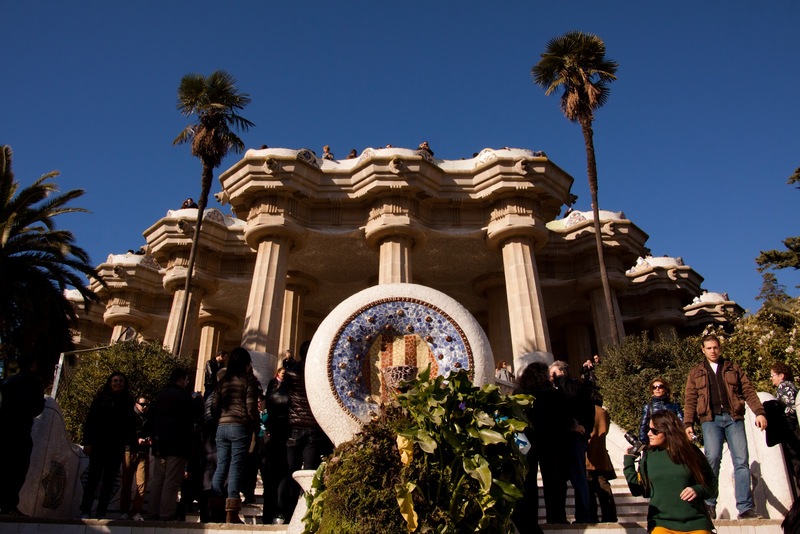 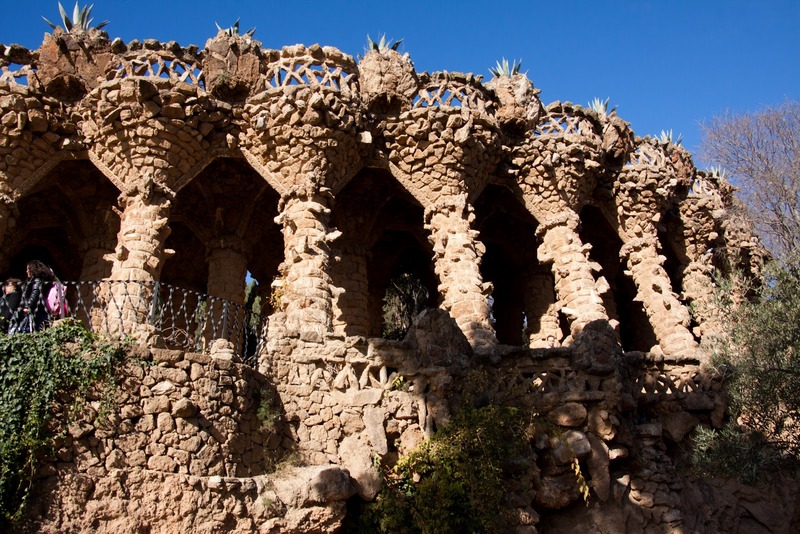 Park Güell was built by Antoni Gaudí in the first two decades of the 20th century. 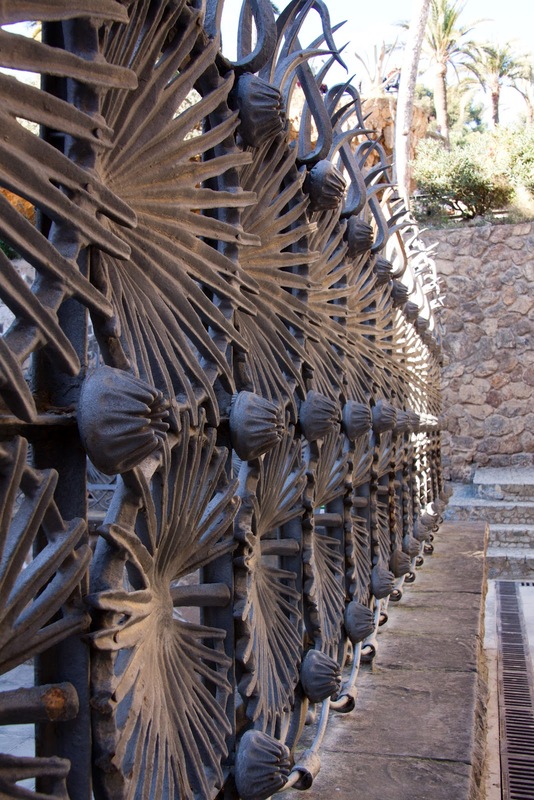 It was designed to be a sort of gated community of the elite. 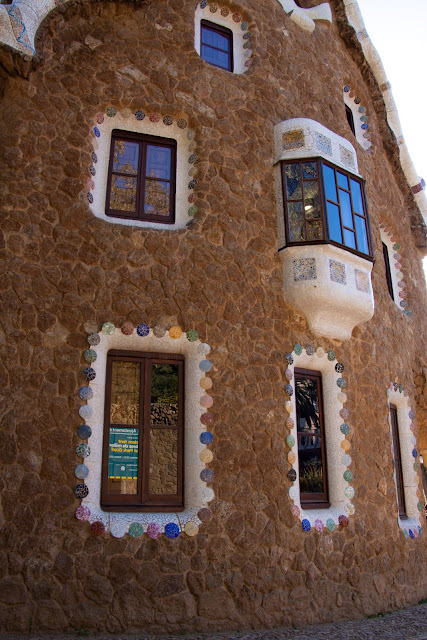 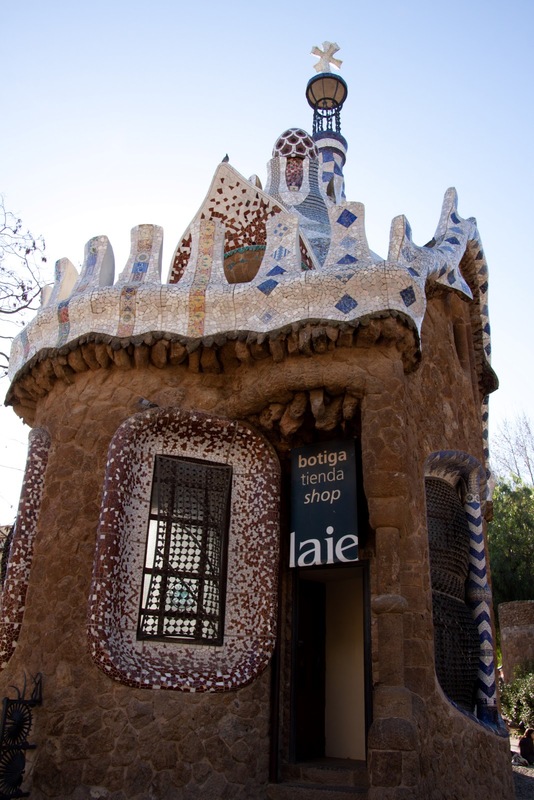 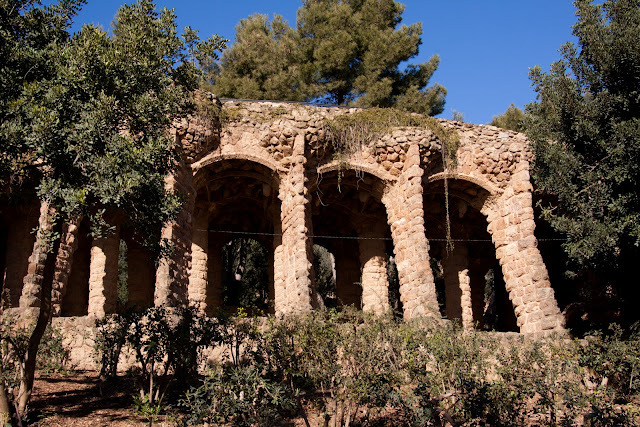 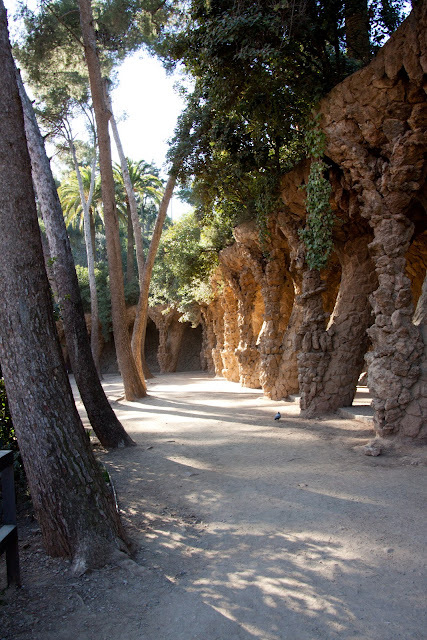 This failed idea was a combined effort of Gaudi and Count Eusebi Güell, a wealthy Barcelona native. 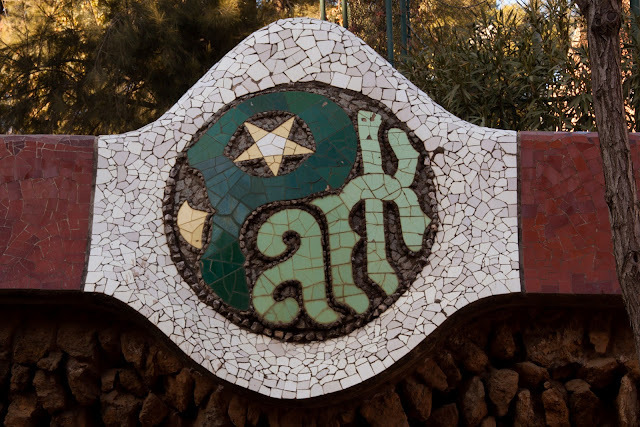 There are still a couple of private residences on site, and the park is quite large, but the majority of the modernisme attractions are in one location. 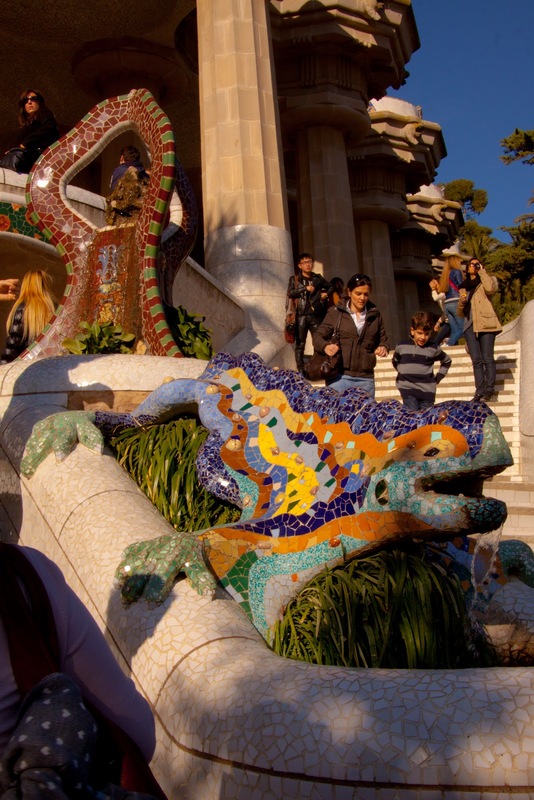 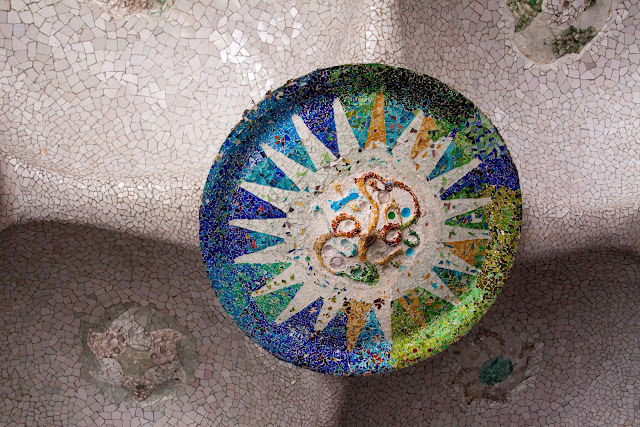 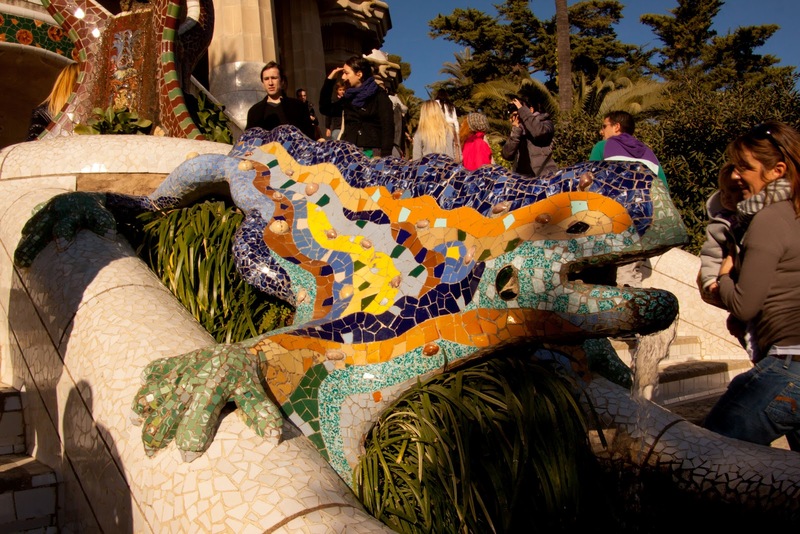 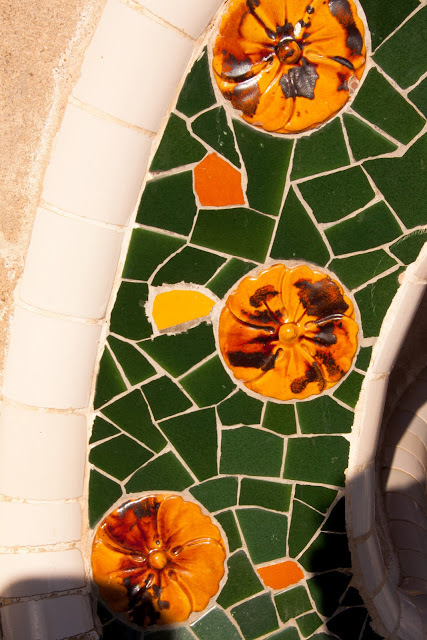 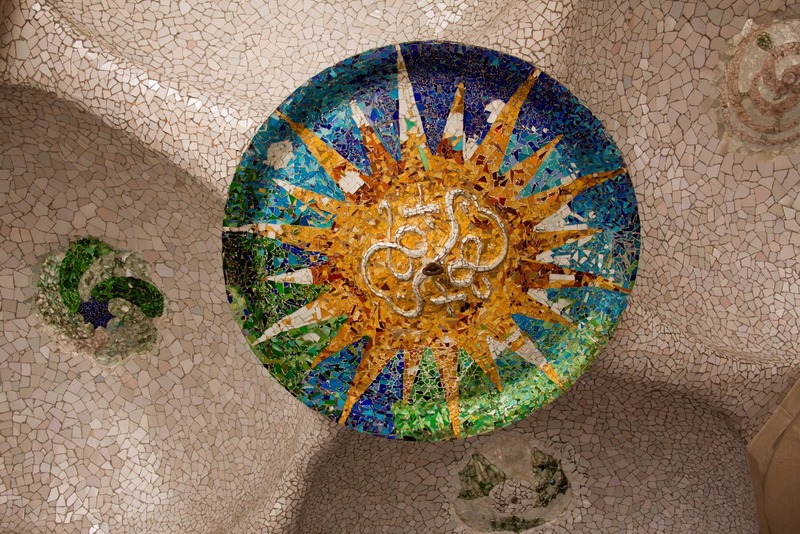 Park Güell's most famous resident, the mosaic dragon. I had a terrible time waiting for other tourists to back off of it long enough for me to take a picture. 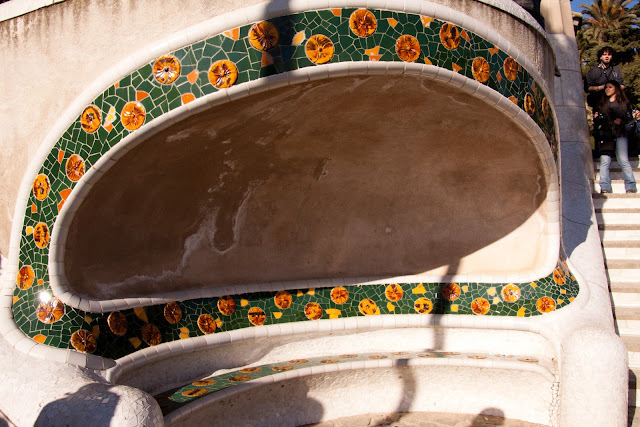 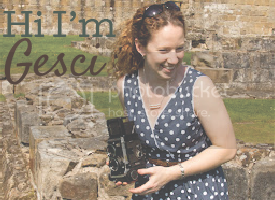 The idea of an "adult swim" for sightseeing sites came to me because of this- I think that, worldwide, the last ten minutes of every hour should be a "hands-off" time so that those of us who want clear pictures can get a chance! 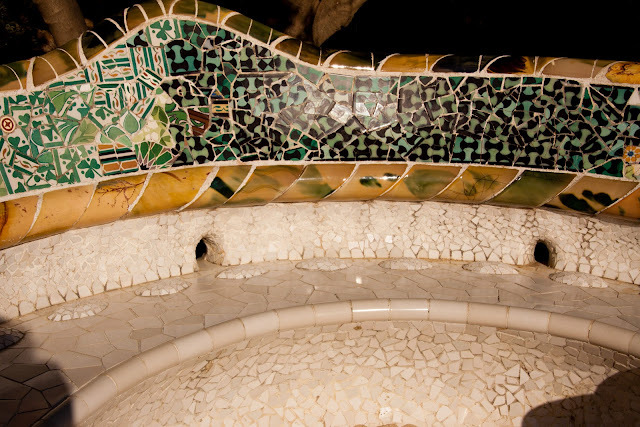 Mosaic bosses on the ceiling of the covered area behind the dragon. A detail of the upper level seating area. 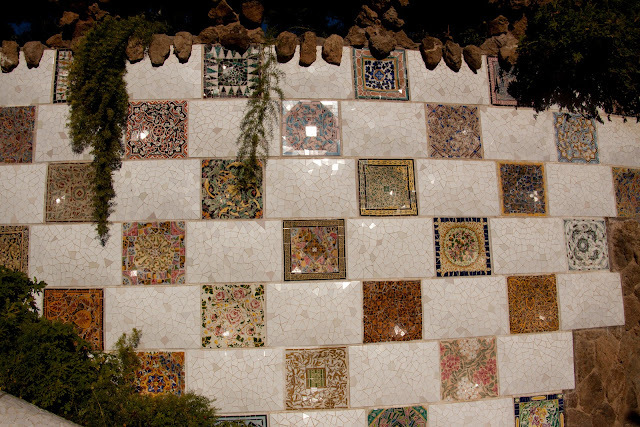 The wall next to the steps. 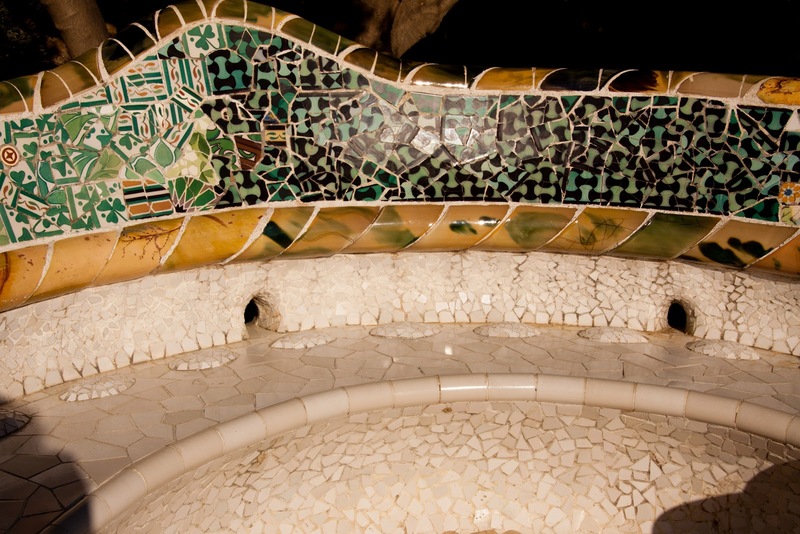 The dragon is lower center, to give you an idea of what you're looking at here. The two gingerbread houses at the entrance to the Park.